1942 Rumors they are going to sent us to Telfous [?] & some To Sanasuana [?]. Don’t know. 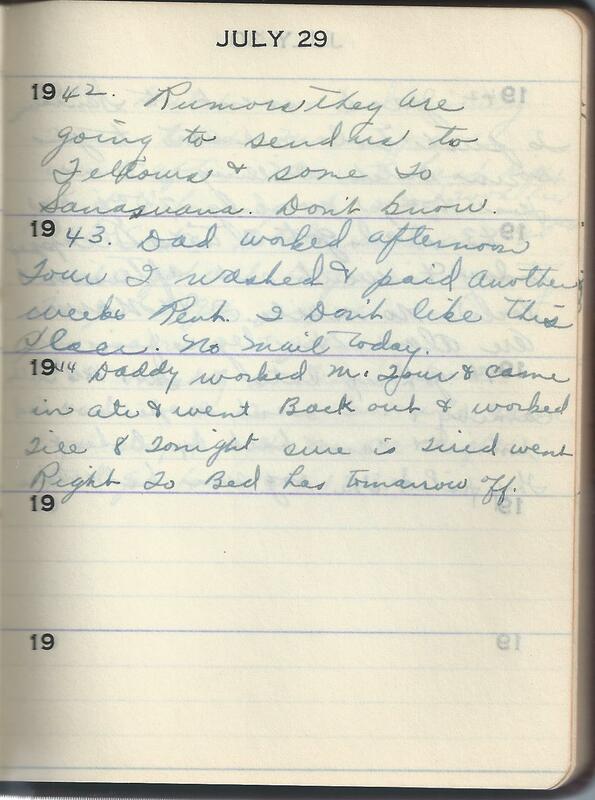 1943 Dad worked afternoon Tour I washed & paid Another weeks Rent. I Don’t like this place. No Mail today. 1944 Daddy worked M. Tour & came in ate & went Back out & worked Till 8 Tonight sure is tired went Right To Bed has tomorrow off. I think the second site name in 1942 is Santa Susana- that was in Ventura County & an oil field at that time.